When I first got a Dachshund, I knew nothing about them. Now some people would call me a “fanatic” I suppose. Between doing research for my blog, and via my friends in the Dachshund club that I run, I have probably learned most of what there is to know about wiener dogs. I thought I’d share a few fun facts and things that surprise most people when I tell them. When most people think of hunting dogs, big dogs like Labrador Retrievers, Shorthaired Pointers, and Coonhounds come to mind. There are several smaller dogs that were bred for hunting too though. The name “Dachshund” literally means “badger dog,” from Dachs (“badger”) and Hund (“hound, dog”) in Germany, where they originated. If you want to be proper, the name should be pronounced with a German accent – DAKS-huunt (or hoont). There are Dachshunds that don’t fall neatly into those size categories. For example, of course, there are Dachshunds that weigh between 12 and 15 lbs. Some breed registries consider anything 12 lbs and over to be a standard. The average Dachshund owner usually refers dogs in this middle range as “tweenies”. Anything 11 lbs and under is a miniature so don’t be fooled buy people claiming they raise “toy” or “teacup” Dachshunds. There is no such thing. There are 3 coat types: smooth (short haired), long haired, and wire haired. There are approximately 15 different color combinations: black & cream, black & tan, blue & cream, blue & tan, chocolate & cream, chocolate & tan, cream, fawn (also called Isabella) & cream, fawn & tan, red, wheaten, wild boar, black, chocolate, and fawn. There are at least 6 marking combinations: brindle, dapple, sable, brindle piebald, dapple piebald, and piebald. Doing the math reveals that there are 540 color/coat/pattern possibilities. Of course, genetics control what is possible so there might be less than that in reality. Still, it’s crazy how many different Dachshund “flavors” there are. The official, breed specific, names for these long and narrow dogs are Dachshund (Us and Germany), Teckel (Germany) and Dackel (Germany). 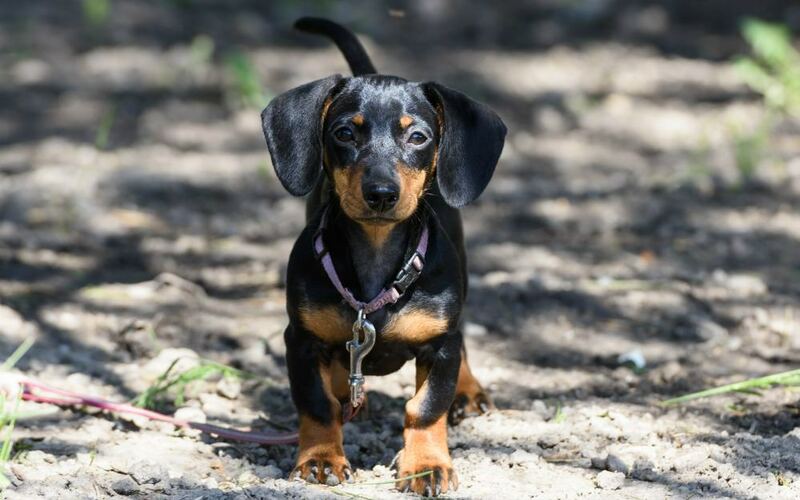 Here in the US, there are over 15 different names people call Dachshunds derived from shortening the name, misspellings of the name, and “cute” name references. These include wIEner dog, wEIner dog, sausage dog, weenie, Doxie, weens, and many more Dachshund nicknames. People often assume that small dogs don’t need much exercise. Or, in fact, they aren’t capable of much exercise. When it comes to Dachshunds, that would be an incorrect assumption. A dog’s athleticism is a product of both nature and nurture. As I said above, Dachshund are hunting dogs. They were bred to have energy and stamina. However, if you life a sedentary life and don’t take them out much, they probably won’t be fit and may get used to lazing around. If you are active though, and slowly increase activity to build their fitness (just like people should), they will probably shock you with what they can do. Both of the Dachshunds I’ve owned were great hikers and could go at least 10 miles on steep, rough terrain before even staring to get tired. Many people compete in agility with their Dachshunds. Although certainly not typical of Dachshunds, TruMan the Doxie ran a whole marathon (over 26 miles!) with his ultrarunner Mom. Dachshunds live to be 15-16 years old on average. However, not all make it that long and some live longer. Based on my observations, and experience through my Dachshund club members, it seems that there are 3 main “age” categories for Dachshunds – those that only make it to 11 or 12, those that live to be 15 or 16, and those that live to be 18 or older. There is some debate about the oldest age of a Dachshund, but the oldest Dachshund in the world might be Rocky, who lived to be at least 25. 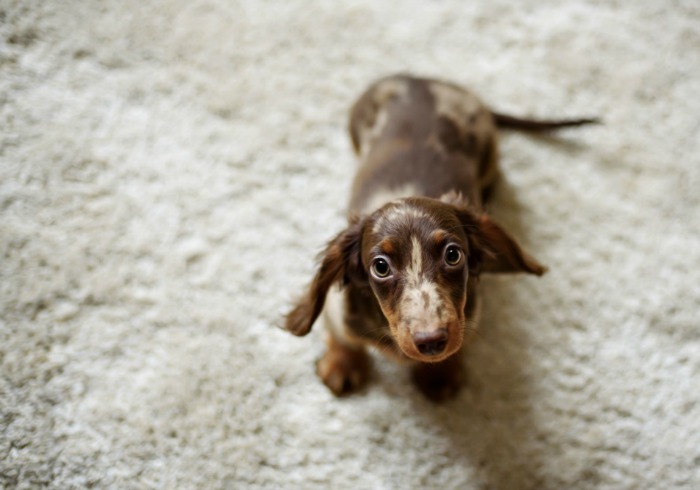 The Dachshund breed is prone to a hereditary disease called Intervertebral Disk Disease, or IVDD, which can cause disks in a dog’s neck or back to rupture. Less frequently, a Dachshund can have back problems from acute injury, like being hit by a car, or degeneration from old age. However, 1 in 4 Dachshunds will have back issues between the ages of 4 and 7 because they have IVDD. 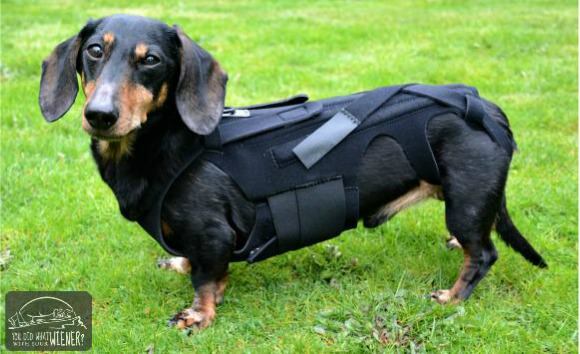 Chester in the L’il Back Bracer Dachshund back support. If a Dachshund’s spinal disks crack or bulge, the result can be anything ranging from severe pain to paralysis. Treatment can range from medication and 6-10 weeks of strict crate rest to surgery followed by crate rest. Complimentary treatments like acupuncture, cold laser therapy, hydrotherapy, dog conditioning exercises, and supplements can help in the recovery process and prevent future flare-ups. Owning a Dachshund is kind of like roulette in regard to back issues. 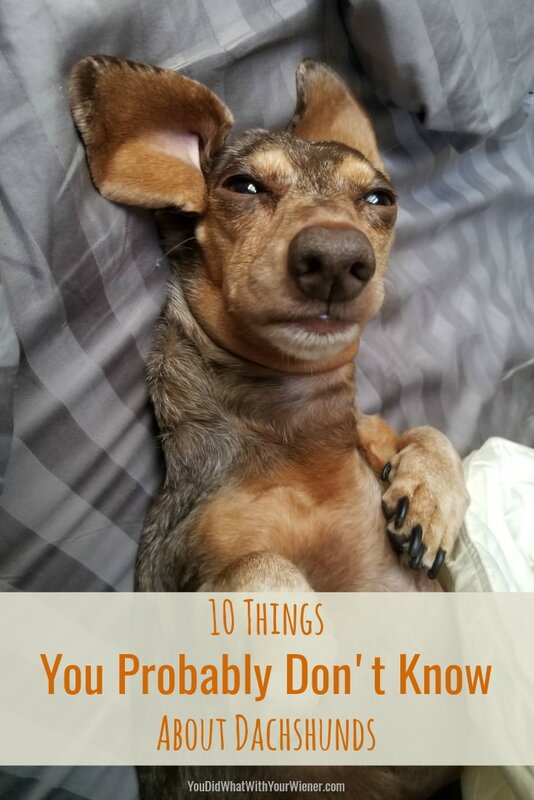 The best thing you can do is learn as much as you can about the signs and symptoms of IVDD-related back pain in Dachshunds so you can catch it early. Like people, dogs can have different “voices”. However, most Dachshunds have a bigger bark than you would expect to come from a small dog. I can attest that at least one pizza delivery person thought there was Rotweiler inside when they knocked on our door. Since they also like to hear themselves bark, this can cause problems in apartments, condos, and other close living quarters. In fact, trying to teach a Dachshund to stop barking is one of an owners “favorite pasttimes”. 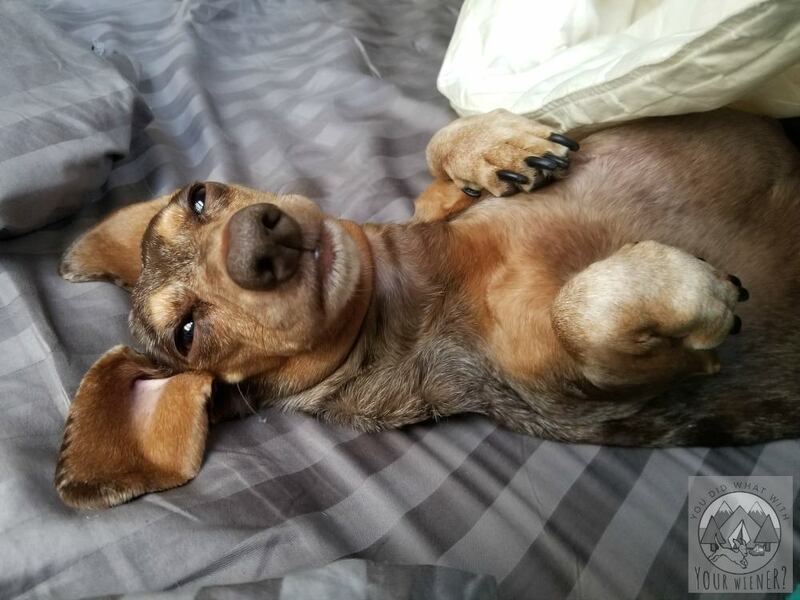 Most Dachshund owners will claim that they are like potato chips – you can’t have just one – and many people who claim to not like Dachshunds change their mind after spending some quality time with one. Their spunky little spirits, clownish antics, and silly looks will definitely steal your heart. Many people have at least two and the “once a dachshund owner, always a dachshund owner” mentality leads people to get several over their lifetime. Well, this one might not be a 100% proven fact but it’s a fun thought. Some historians believe hot dogs were first known as Dachshund sausages, after the long round dogs, which were favorite companions of German butchers. Some suggest that the name was changed to “Wiener” dog after one cartoonist had trouble spelling “Dachshund” and shortened it. Unfortunately, no one has been able to find this comic so the truthfulness of this theory is seriously doubted. If you own a Dachshund, or are thinking of getting one, I hope you learned something you didn’t know about them. Do you have any other fun facts to share? Dachshunds are also stubborn, but so cute and sweet you can’t get mad at them. I love my Dixie, first doxie I’ve ever had. That’s so true Debby, I love my Doxie, Penelope, but boy, she never stops barking……. We love our lil Doxie. He is stubborn. I tell my husband all the time he learned it from him lol. But if anybody reads this. My lil guy whines all the time does anybody else have this problem? He is spoiled don’t get me wrong lol. But it’s all time. I really enjoyed the hot dog naming fact. I guessed it before though. My Dashshund name is Toby and he stole my heart when I first saw him. He is the long hair version and he is a very tough guy. Thanks for this article, I learn a lot more of him. Dachshunds are the best. There are several long haired Dachshunds in my club. They’re pretty/handsome. We have a 2 y.o. long-haired Dachshund named Tobias which we shorten to Toby. Like all doxies he’s a natural clown and a real love bug. He’s our 4th – we have been owned by doxies since 1991. Had to put my 16 year old dachshund down yesterday. His name was Guinness. The best companion I could ask for. He was a hunter and tough. Survived a coyote attack. He will be missed Dearly. Best Breed! I’m so sorry. It’s so hard to lose one, because they show so much love back to the owner. I rescued a 9 yr old. I lost my Molly a year ago. She was 14. I haven’t been able too let her go. We’re so sorry for your loss. We lost our mini Tinker almost 3 months ago and we’re still mourning her. She fought multiple myeloma for over a year and taught us about resilience, determination and most of all, love. Saying goodbye was the hardest thing we have done. Yes, we’ll get another mini eventually. So sorry for your lost. I lost my “Wiener” just over two years ago. Not a day goes by that I don’t think about him and miss him dearly. Hi Sylvia. There are really only three ways to completely prevent jumping off of the couch. 1) don’t allow Heidi on the couch at all (blocked off when not being sat on and not allowed up on it when you are) 2) block the couch off so she can’t get up on it when you are not there. If you want to let her on it when you are, put a harness on her and keep your hands on it at all times so she has to chance of jumping off. 3) What I did was use pet gates to surround the couch so they could still get on and off it when I wasn’t there but only by using the stairs. The dogs are allowed on the couch when we have pulled the gate away and are sitting there but we pay keen attention and lift them off the couch, or guide them to the stairs with our hands, when they want to get off. I understand that neither of the 3 options are ideal but that is what would work. Good luck. I am a bit extreme, but I just got rid of any furniture that my dachshund was able to jump up on (the couch). I am the only human living in the house, so I don’t have to worry about accommodating anyone else’s preferences, lol. I tried blocking off the couch with empty cardboard boxes when I wasn’t using it, but it just became too much of a hassle. I love the pup soooo much more than I loved the couch, lol. We adopted our black and tan girl Chica 4 years ago. She is so sweet, a great mole hunter and caught a rabbit once (poor bunny). She and her pack brother Charlie (coincidentally a black and tan terrier mix) are both very athletic and fun. I would love to adopt more dachsunds, they are the BEST. I wanted one ever since childhood after reading a book about some adventurous doxies! Dachshunds are prone to get bladder stones. Too much protein causes this. My Doxie is on a strict dry food and wet food. Also gets strict doggie treats. Found this out after she had 16 large stones removed and over 300 mini stones. Surgery was Very very expensive. No food other than what was prescribed. That means NO people food. If you see blood in urine see vet right away. This is my second Weiner dog. First one lived til 27 years old human years. Enjoy your Dachshund. They are wonderful. Wow… 27 years old? That’s amazing. I think my friend’s Dachshund had bladder stones and has to be on a special diet. She’s the only one I know though so I didn’t know it was common in the breed. Thanks for the info. My Dutchhound-Stanley whom I rescued about 5 yeatrs ago. He was left in the cage on the parking lot recently suffers from the broken jaw.He attacted my pit-bull and that what hapenned.Surgery is about 3 0 00.00$ And I don’t have that kind of money.Stanley is a wonderful and very stubborn dog.We love him very much and hope that we will be able to get some help for him. I’m sorry to hear this Mira. If it were me, I would ask the veterinarian if it’s possible to make payments over time. You can also contact a rescue to see if they can help. I just adopted a mix from the shelter not knowing what to expect. He looks dach/terrier. Wow! I never expected such a funny, athletic, affectionate dog. Good luck I have 3 dashounds Bobbygene Frankie and Missy Maymay . I have to laugh about them sitting anyplace else except couch and them taking turns sneaking in my chair when I catch them I think their more tickled than I am. My oldest dashound Elvis died 2 1/2 years ago he was Frankie’s dad. My husband died in 2009 and of course I was still grieving over him but when Elvis died I some how dealt with my husband dying because I still am grieving over Elvis. I always say Elvis was the best boyfriend I ever had he was with me longer than anyone he was 19 when he passed He was largely in charge around this house. BIGGEST SHOW OFF YOU EVER MET.LORDY DO I MISS HIM. I’m sorry you for your losses. Having lost a lot of important people in my life too, I know how painful it is and can be even years later. Pets are often like family members to us to the grieving can be the same. Thanks for sharing about your current Dachshunds. They sound very comical and fun. I had to let my Spotty cross the rainbow bridge just last Monday. He had developed diabetes and then suffered complications due to the diabetes. I had had him from 5 weeks and he was 11 years old. My heart broke as I held him and still cry terribly. He was my best friend and was such a funny character!! I love and miss him terribly and I have another one. I’m sorry for your loss. When your heart is ready, I’m sure the perfect new buddy will come along. Thank you for taking such good care of him and giving him such a loving home. About three years back I lost my best friend, a street dog we rescued from Puerto Rico 15 years earlier. After a sad dog-less year I was introduced to a beautiful five year old long-haired mini-doxi who had just lost his owner. Wow, what a character, he just stole my heart. Now it seems everyone I run into who has ever had a dochshund just lights up and regales me with fond memories of their own little weiner-pals. What a wonderful breed! My adopted dachshund mix (rescued from the Humane Society) is so precious to me. He is attached to me at the hip. He is 10 years old now when I adopted him he was 10 months. It’s funny because I did not even like small dogs before I saw and fell in love with Shadow. Like you said I did not particularly like the breed before. Now I am crazy about them! People who are dachshund lovers will do anything for their dogs . We just came from Charlotte NC where our 17 year old dachshund had $2000 worth of preventive dental surgery by one of the top veterinary dental surgeons in the area . My husband loves that little dog ! He picked her out at the shelter . She has been an absolute pleasure to own . Hi my name is Julie & I have a mini doxie & he is my dog, his name is Cheyenne his color is black & tan longhair. My boyfriend & I found out months ago that he has a hernia under his tail. The vet says it will be between $400 & $500, but he eating, going to the bathroom & has energy, he is also 10 yrs old, should I do the surgery or not? Hi Julie. It’s my belief that a veterinarian has your pet’s health in mind so if they recommend surgery it’s necessary. However, have there been cases where surgery was not performed and the pet went on to live a happy, healthy life? Yes. Have there been cases where surgery was not performed and the issue got worse. Yes. Often. Also keep in mind that dogs are really good at hiding pain. My advice is talk to your vet more about your financial situation and ask if there are any alternatives to surgery. If not, you will need to decide what to do based on the chance Cheyenne would be ok without it. I’m so sorry Kay. Obviously, it was an accident but that doesn’t make losing a beloved pet any less painful. My Casey is 17 1/2 . I adopted him when he was 11. He’s long hair red fringed in black. He’s the love of my life. Some health issues. Funny, clever, protective, and loyal. I can’t imagine my life without him. Our Kendall lived to be 19 yrs. She was a rescue. She was trained to be an mazing service canine for my wife. I did not take long for Kendall to train me too! Actually effective in calming certain personalities. She traveled extensively in USA with us with no problems. We added a liver enzyme to her diet around 8 years of age. A multi that had liver enzyme(s). Although we cannot profess that this is what extended Kendall’ lifespan. However, at a ripe ole age of 19 . . . whose to say. Oh, she ate what we ate along with her dry food. Amazing breed (Red or tan 11 lbs.). Kendall sustained an injury when she bolted from a thunder storm while we were all out in the acreage. The vet said no internal injuries or broken bones and says she was struck by a vehicle-most likely. She walked crooked and barely could stand. I nursed her near the heater (brought water to her; wouldn’t eat for 3-4 days). Forced her to walk (whined a bit); utilized a gravity ‘traction’ by holding her up underneath her front shoulders for 5 seconds (once per day; 3 days); then 10 seconds for another 3 days – increasing in five second intervals for three weeks. Kendall was walking straight by the end of three weeks. It wasn’t long before she was chasing birds, squirrels, etc. One would not have known she was injured. NOTE: she never did have disc problems or any sign of back disablements. Kendall ended up having another happy and healthy 17 years. She was family. Our community love her too. Do you know if the bad breath my 10 year old Bella is normal in Dachshunds? What can I do to fix it? I feel bad for her. I have never loved a dog like a human until her. Please advise. Thanks for the info. Interesting. So glad to hear they live longer. Hi Shelton. Yes, in my experience, bad breath is common in Dachshunds. To a certain extent, it’s just something about your dog you just learn to love. However, sometimes it can signal gum disease so I would make sure to have her teeth checked at a vet. If the vet doesn’t find anything, you can use a water additive like the one from Tropiclean to try and make her breath smell less. Brushing her teeth may also help. Good luck. Hi Connie. My Chester had dementia too. It’s so heartbreaking. As far as I know, it’s not more common in Dachshunds than other breeds. If you’re not already, you might want to consider joining the Facebook group Canine Cognitive Dysfunction (CCD) Support Group (https://www.facebook.com/groups/CanineCognitiveDysfunction/). Sometimes it’s sad to see what other’s dogs are going through but it really helped me know I’m not alone and it was a great place to find answers to my questions. They are very curious critters. I have owned maybe 12 or 15 since 1963. My wife and I were at a dinner ice show in Garmish Germany and met a German couple that could not speak English. We too could not speak German. We somehow managed to commute after several drinks. Anyway they insisted that we go to their home after our party. They had a litter of dashaunds and gave us one. Very nice people, although we have never seen or heard from them since. We lived in Pisa Italy at that time. Of course, we fell in love with the little fellow. Have not been without one since. And have lost some to various reasons. One got in a bee hive. Lost one when I moved to Florida in 1974. A rattlesnake got him. One had a collision with a truck. It really hurt us to lose each and every one of them. Of course we lost some due to old age. I’m old man now, but I will keep one for the rest of my life. What a great story. Thanks for sharing! I love random, life-changing connections like that. I loved reading all the posts and your replys/comments..i had Catahoulas (La. State Dog) growing up..then my lovely Weimaraners (3) had acreage for them to run..my daughters road them like ponies when they were young..then 3 Schnauzers..and finally my Doxies (4) rescues..much smaller yard..nothing more loyal, loving, best bed partners ever..all rescues..have lost 2 of my Cajun “kids”.. . Andouille (Dewey), Boudin (Bou), but Dixie ( Dixie beer) & Prof. Long Hair (Hairy) are still going strong..on the hunt for another one, or two..reds, black & tan and black dapple long hair so far…maybe amother surprise is in our future. My sweet boy duke had say good bye too Friday April 5 he was 12 yrs had a mass in stomach fluid in lungs but he was the best ready play ball go far walks snuggle up I miss him so much there a awesome breed.